I like to make clean and simple wallpapers that just fit the feel right for the character . 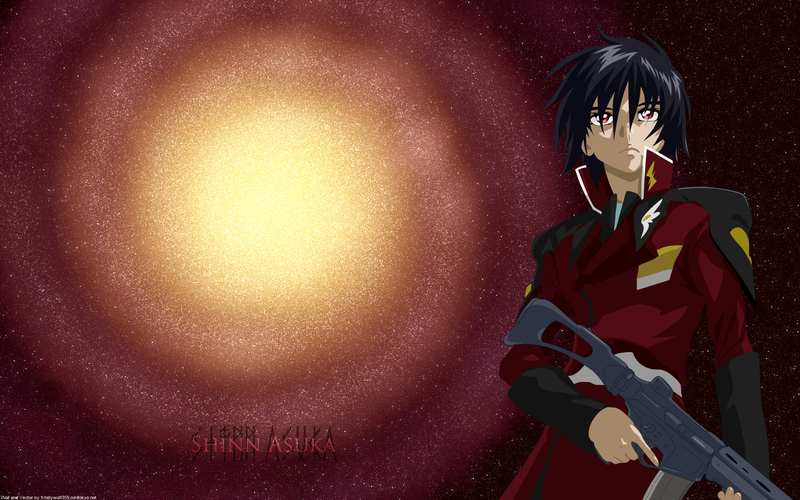 I originally made this wallpaper with a blue galaxy but it just didn't give the right effect (with Shinn being in his Red uniform anyway). It was also originally 4:3 aspect ratio but I decided to expand it to widescreen. The Stars and Galaxy I generated with the universe program, and the vector was done by me. I added some effects with PaintShopPro and Photoshop. Click Download on the left to get full size.